Many web applications require a way to recognize a user, and depending of user's rights allow or disallow access to website features or areas, load personal user's settings, save data, documents etc. Membership system is very important part, but also hard to create from scratch and potentially dangerous because of security issues. Common web developer would rather concentrate on main business, instead of worrying about security and membership. Fortunately, ASP.NET development team is aware of this need, and until now offered several methods that could be used to add user membership system in ASP.NET web application. Each approach is better than previous one, and each was trying to improve and resolve problems in previous version. ASP.NET Membership system is published first. It is introduced with ASP.NET 2.0. in 2005., as a standardized way to enable user authentication in ASP.NET applications, instead of custom solution. After that, we got SimpleMembership in 2008., mainly for use with ASP.NET MVC. 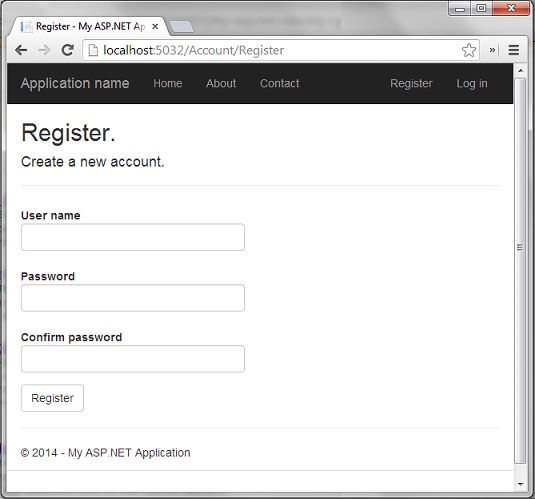 And finally, we have ASP.NET Identity. Since user management problem is important, many developers could not wait for Microsoft to do things on right way and created many third party are many third party solutions, in addition to Microsoft's solutions. ASP.NET Identity is latest membership technology. Its purpose is to replace previous Membership and SympleMembership systems, so both Membership and SimpleMembership become obsolete now. But, new membership is not backward compatible. ASP.NET identity works only with .Net Framework 4.5 or later. If for some reason you must use .Net Framework 2.0 or 3.5 then you have to stay with old Membership or SimpleMembership systems. New ASP.NET Identity is released as NuGet package and also included by default in Visual Studio 2013. Publishing in form of NuGet package helps to obtain new versions easier in the future. ASP.NET Identity is located in Microsoft.AspNet.Identity.Core namespace. There are many problems with old ASP.NET Membership system. But, at time when it's published it was great help, when compared with idea to create complete membership yourself. During the time, programmers noticed its flaws. First, ASP.NET Membership system is hard to customize. It uses SQL Server database only to store data about users. It has predefined user's information table that will be stored. It is not simple to extend default functionality and add custom user fields, or to move data to other kind of database. Membership database schema is designed for SQL Server only. It is hard to move data to other data sources, especially to non-relational databases. Second, Sign-In and Sign-Out are implemented based on Forms Authentication, so classic Membership system can't use OWIN. These problems are fixed in new ASP.NET Identity membership which has easier customization of user profiles, simple change the data storage and also it's not depending of IIS. SimpleMembership is second implementation, which was introduced with Visual Studio 2010 SP1 and WebMatrix. One advantage of SimpleMembership over classic Membership system is that it's easier to customize user profiles. But, all other problems like using membership system on other kind of databases, using of external membership providers, working with OWIN etc., are still there. Also, SimpleMembership is made primarily for MVC. Web Forms applications still used old ASP.NET Membership system which just increased complex and useless burden on common ASP.NET developer. ASP.NET Identity supports all types of ASP.NET applications like Web Forms, MVC, Web API, SignalR or web pages. No need to learn different methods for MVC and Web Forms. Now one membership system supports all kinds of ASP.NET applications. New ASP.NET Identity system is easy to customize. You can add new fields to user profile in no time. ASP.NET Identity is designed based on interfaces which means highly customizable. If you don't like one part of system, you can replace it with your object. Default implementation uses Entity Framework code first. Since database schema is in your hands, you can easily change table names, primary keys, data types etc. By default, system uses SQL Server database. You can change that and use Oracle, MySQL, SharePoint, NoSql, Windows Azure Active Directory and practically any other database. ASP.NET Identity is highly testable. When MVC is introduced, one of intentions was to enable unit testing in web application. But, SimpleMembership still could not be tested. ASP.NET Identity resolves this problem too, and now all parts of ASP.NET web application, including membership system, are unit testable. Support for Claims and Roles. Old membership systems are supporting Roles to enable better authorization. By using Roles, you can allow or disallow access to different parts of web application. ASP.NET Identity has roles too, but also introduces Claims. In short, Roles are like subset of Claims. Claims could contain user roles, but also other information about user like first name, last name, email, user groups etc. Because of that, you can allow or disallow user access on many different criteria, practically whatever makes sense for you (e.g. allow access only to users who have a boss named Jeff). Claims are separate part like everything else in ASP.NET Identity. Authentication, authorization, roles and claims are all separated to support easier replace and customization. Logical question is, if Claims are so powerful, why ASP.NET Identity offers both Roles and Claims? Why use Roles? Well, Roles are simpler than Claims and many applications simply don't need all of the Claims power. If you are already familiar with Roles and they can satisfy your requirements, it's OK to use them. 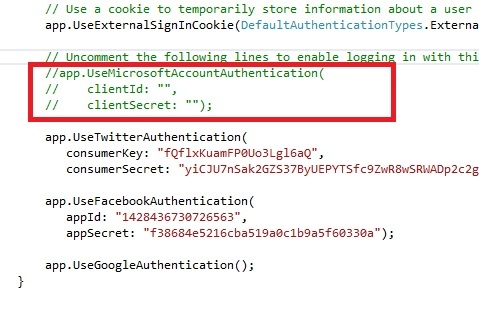 Users can login with existing Facebook, Google, Twitter or Microsoft Live logins. Millions of people already have accounts on these services. Many of them don't want to register on one more website and remember yet another user name/password pair. If user is not sure if he wants to try your website or not, it could be decisive reason whether you allow login from social networks or not. It is much faster and easier for users if they could just use some existing account to try your website and see what you offer. ASP.NET Identity supports OWIN, which also means that it doesn't depend of System.Web namespace. 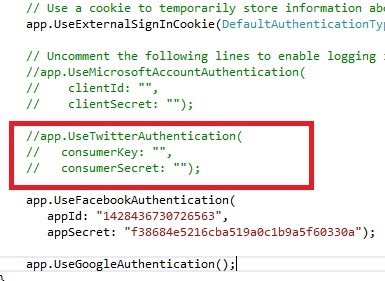 Unlike old Membership which uses Forms Authentication dependable on System.Web namespace, ASP.NET Identity is using OWIN CookieAuthentication to generate login cookie. Obviously, new websites should use ASP.NET Identity since it provides far more benefits than previous membership systems. Procedure for Web Forms application is same as procedure for MVC application. 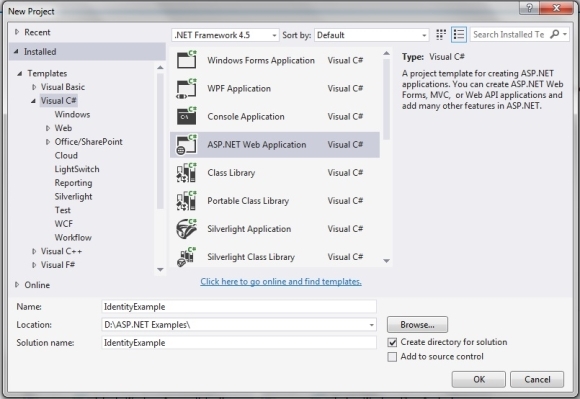 It is pretty simple to implement ASP.NET Identity feature by using Visual Studio 2013. Click on Change Authentication button to see available options. 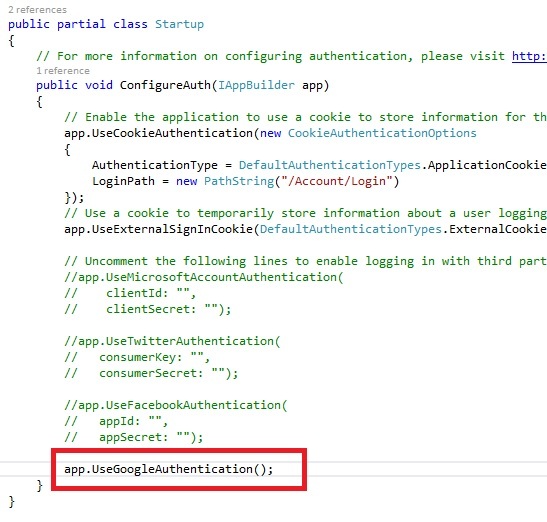 To use ASP.NET Identity, make sure that Individual User Accounts option is selected. First option "No Authentication" obviously means that web application will not need any kind of authentication. Last two options are for using of Azure or Windows Active Directory. After registering, you can login any time by using Login link. By default, users data are stored in local database, inside of App_Data folder. As you can see, only few clicks is needed to have ASP.NET Identity implemented in ASP.NET website. Next step is to customize it according to your specific needs. One of the new demands is to enable logins from social networks websits. When classic ASP.NET memebership was published, all users are registered to websites with new account and stored in local database. Nowadays, users expects an option to login by using their existing Facebook, Google, Twitter, Microsoft Live and other accounts. 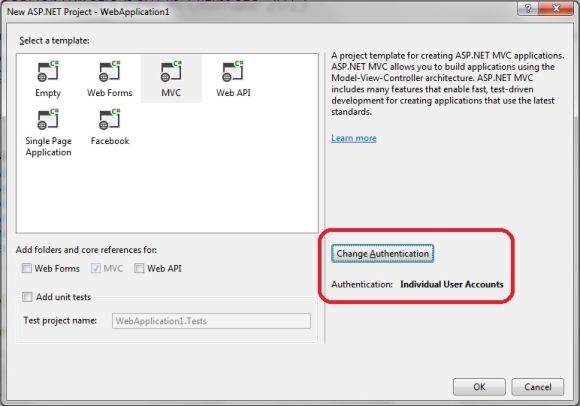 By using ASP.NET Identity, you can easily add this feature to your ASP.NET web application. One more advantage of using external logins is that you don't have to store user names and passwords locally so you don't need to worry about keeping them secure. Social networks websites use HTTPS login pages and take all care about security. 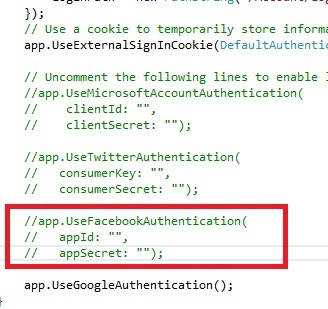 Code for Facebook, Google, Twitter and Microsoft Live login, the four of the most popular external providers is located in App_Start\Startup.Auth.cs file. Let's see how to enable external login from these services. Start web application again and click on Login link. On right side, now you can see the new section named "Use another service to log in", and a button "Google". After click on Google button you will be redirected to http://accounts.google.com to login, and then redirected back to your website to choose user name. Congratulations, you just enabled Google account login on your website. Yes, it is that easy :). To enable Facebook logins, we need a little more work. Go to https://developers.facebook.com/apps and register as a developer. Click "Create a New App" button. New dialog will appear where you can type application name and select category. Optionally, write namespace. Click "Create App" button. You will be redirected to control panel of your application where you can see a lot of interesting things which you can browse from a menu on left side. For now, we need "App ID" and "App Secret" fields (click Show button to see App Secret). Add values for appId an AppSecret, like on Facebook application control panel. Go again to application control panel, click Settings on left menu, and then Add Platform button. On dialog, select Website option. Fill "Site URL" text box to tell Facebook a domain name where it will accept logins. Be careful to type exact domain name, including http:// and everything else. If you test on localhost by using Visual Studio, type port number too (e.g. http://localhost:5032/ ). Small problem with Facebook is that you can choose only one domain name for your application, so you can't use same application name on live URL and localhost at the same time. The procedure is similar like on Facebook. First, go to https://dev.twitter.com/apps. Login and then click "Create a new application" button. Set values for key and secret and run web application. Click Login and you will see one more login button "Twitter" on right side. Run the website again, and you should get one more, "Microsoft" login button. Now your website should be able to accept logins from existing accounts of four big social networks. By looking from marketing angle, this can be huge improvement to convert all those hesitant prospects into customers. 127.0.0.1 local.yourdomainname.com Save and close file. Now, IP address 127.0.0.1 will be translated when accessed locally to your domain name, so you can use same domain for both testing and production. ASP.NET Identity 2.0 includes several new features like Two-Factor Authentication, Account Lockout, Account Confirmation, Password Reset, Security Stamp (Sign-Out Everywhere) and more. Before, these features had to be coded, so now developers can focus more on main business while using tested and standardized method to manage users. Also, bugs discovered in previous version are fixed so ASP.NET Identity 2.0. should be more stable. Microsoft listened developers' feedback and provided membership system which solves many problems found on previous systems. ASP.NET Identity is customizable, can work with different data sources, supports social networks authentication and change fields in user profile. ASP.NET Identity 2.0 is more stable and includes new features. ASP.NET finally has everything needed to very quickly create secure and feature-rich website membership system.